I thought I was doing a favor for a fellow publicist, but little did I know that she was doing me a huge favor! Thank you, Maureen, for introducing me to the music of The Weeklings. Maureen asked me a couple months ago if I would be interested in doing an article on my Beatles Freak Review page about the new band she is repping. She explained that their new album, Studio 2 , was named after the studio at Abbey Road where the Beatles did all their recording, AND that her band, The Weeklings, had recorded this new album (their second album) there. I was sent a preview copy of The Weeklings: Studio 2, and I couldn’t have been more pleasantly surprised. Slipped it into the CD player in my car and immediately wanted to start dancing. This album not only takes you back to the 60’s with it’s hand-claps and harmonica riffs, it does it in a new millennium style…STEREO! Add to that, that the last four cuts on this original album are the bands renditions of four very rare McCartney/Lennon songs, brought back to life for us old rockers and modernized for the new rockers. The album will be released on November 18, 2016, but you can listen to clips of the Studio 2 on Amazon and pre-order a copy for yourself. The Weeklings are: Lefty (Glen Burtnik), Zeek (Bob Burger), Rocky (John Merjave), and Smokestack (Joe Bellia). I decided to email some questions off to the band in hopes of getting more background information to write this post. As it turned out, both Zeek and Lefty decided to take on my questions and what ensued was so witty and charming, I decided to post the interview verbatim! So here it is, folks…The Weeklings! 2. There’s a lot of rock n roll history in your member’s roots. How did you all manage to all come together to form this band? 3. How long have you been together? And where is your band based? 4. Your website refers to you as “a Beatles inspired power pop”. According to your history, two out of four of your members have actually played with Paul McCartney and your bass player has played Paul McCartney on Broadway. Any other brushes with the Fab Four you’d like to mention? 5. Listening to your first album, released in March 2015, is like stepping back in time… as if listening to a transistor radio in the 1960’s! Are all the songs originals by The Weeklings? 6. 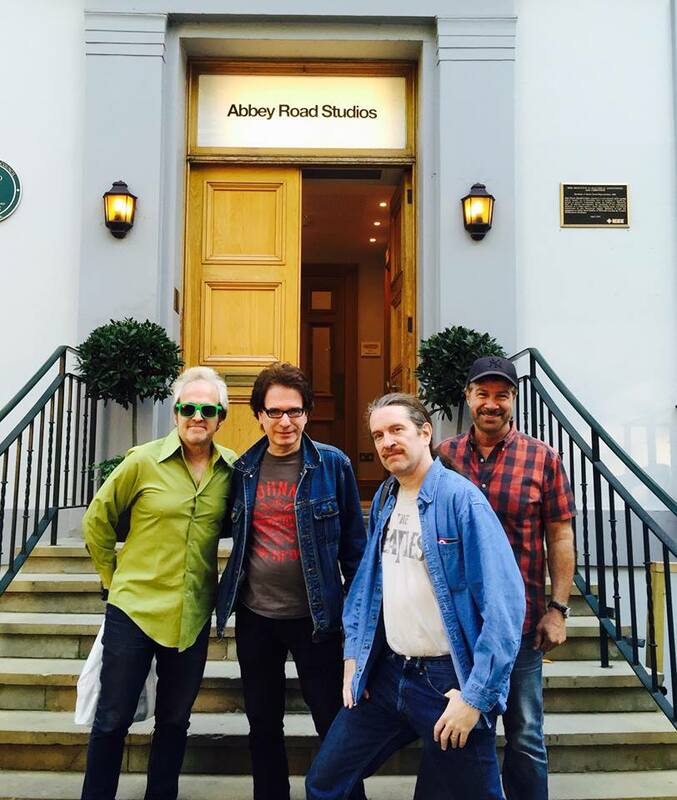 You’ve got a new album coming out called “Studio 2”, named after the now famous studio at Abbey Road where the Beatles did most of their recording. Where did you come up with idea to go to London and record there? Is there a Beatles vibe being in that studio? 7. The new album will contain four rare Lennon/McCartney tracks. How did you discover these tunes? 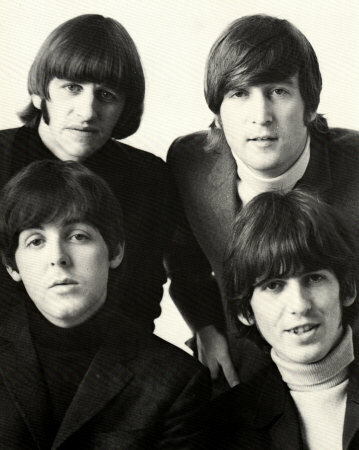 “Because I Know You Love Me So” – is from an off-the-cuff demo sung by Lennon and McCartney that appears on the Let It Be “Fly On The Wall” album. We liked it and decided to write an arrangement. “You Must Write” and “Some Days” – these are taken from a 1960s Beatles rehearsal tape recorded by McCartney. We became aware of this tape via Mark Lewison’s book (“Tune In”), where the original songs were mentioned. The tape was actually previously released on CD but is now out of print. We found the songs by trolling YouTube. 8. While recording in London, did you get the opportunity to play in any clubs? Or have you played in the U.K. prior to this trip? 9. Will there be any touring to support the new album?